Make the most out of your trip to the state by visiting any of these wonderful venues that offer wine making in Pennsylvania. 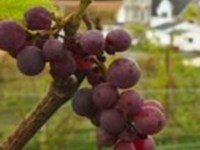 Grab your family or closest friends and make your own wine in PA! Enjoy a Fun Wine Making Class with your Stay! The beautiful Chelsea Sun Inn in Mount Bethel, PA is known for a multitude of great amenities, including wine-making classes! Learn all aspects of creating homemade wine like selecting the right grapes for crushing, wine pressing, wine racking and aging, and bottling. Then you'll get to taste your own wine! Each class is approximately 1 1/2 hours long. Included with the class is a tour of the Stonehenge Vineyard and Winery, where you'll be making the wine. Once you're done making the wine, you have the option of coming back to bottle the wine yourself or having 12 bottles shipped to you within 6-8 weeks. 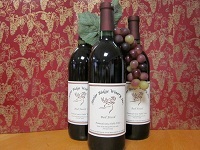 At Allegheny Cellars Winery you can take your time and browse the many wine related gifts they have to offer as well. You may just find that perfect gift for someone special. 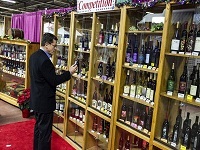 You can taste Red wines, Blush wines, White wines, Fruit wines. “Bigfoot Shadows “ is their biggest seller and award winner, taste it and find out why. This winery, with its nature and wildlife theme is a true experience for wine lovers. A visit to Allegheny Cellars Winery is something you will not regret! This wine making vineyard in PA is wonderful. If you want to taste great wine, then you must visit Allegro Winery in Pennsylvania. Musician brothers John and Tim Crouch opened its tasting room for business in 1981. 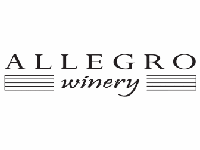 Allegro Vineyards has witnessed three decades of successful growth. Allegro means “lively” in musical terms. Yet, you will find no big concerts at their winery. No festivals. No trophies. Only great wine for over thirty years. If you are planning on visiting Allegro Winery in Pennsylvania on a bus, van or a limousine make an appointment at least 24 hours before arrival to ensure adequate staffing in the tasting room. This is a great wine making location in PA.
Have you always imagined your own château and vineyard? Well, you won't get exactly that but at Chelsea Sun Inn they offer guests an experience in wine making and all aspects of creating homemade wine. Here you can learn how to select just the right grapes for wine crushing, the art of wine pressing, wine racking and aging, and, finally, the bottling of that special vintage homemade wine. Enjoying wine is not simply about opening a bottle – it’s the experience of creating and sharing something special that gives wine its true flavor. If you want to experience the joys of making and tasting fine wine then you should visit Vintner’s Circle in Pennsylvania. Their local shops provide a comfortable setting, professional equipment and a knowledgeable staff to guide you through handcrafting your own wine in four easy steps. You can choose to make wine at home or in one of their wine making shops. You can select pre-pressed juices from top vineyards around the world and create wines for every season. Great News for All Wine Enthusiasts! If you want to make your own wine quickly and easily in your own home you should visit Adams County Winery in Pennsylvania and you will learn how to do it. Join them at the farm winery in Orrtanna for step-by-step instructions on how to make wine all by yourself. They will start right from the beginning of their wine- making experience (like figuring out how to get the box open) and end with the final step of bottling your wine. 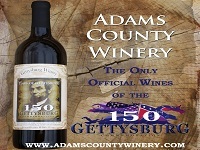 Have a great wine making experience in PA.
A little education can turn a casual hobby into a truly rewarding one. 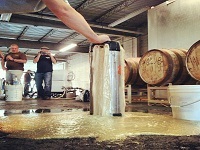 Keystone Homebrew Supply in Pennsylvania offers a variety of entertaining and interactive classes to help enhance your wine making experience. They set dates for their popular classes from time to time throughout the year. Their two introduction classes, “Making Wine from Kits” and “Introduction to Wine from Grapes” will go over all of the basics of home winemaking, along with demonstrations including tips and tricks. 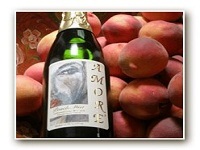 Amore Winery in Pennsylvania began in the spring of 2000 with their vineyard. While their wines were maturing, they undertook the major renovation of the barn next to the vineyard. Amore Winery in Pennsylvania was opened in the spring of 2003, housed in a renovated, charming 200 year old barn. This winery is centrally located within the Lehigh Valley Wine Trail and produces 25 estate wines rich in flavor and diversity. On their list, only for your pleasure, you can taste White wines, Red wines, Pink wines and Sparkling Wines. You can even indulge in PA wine making classes. Antler Ridge Winery in Pennsylvania is nestled in the beautiful mountains of Bredford County just north of Rome PA, near Towanda. Antler Ridge Winery has a simple philosophy: Create the best wines and offer the customers the best experience possible when they visit some of the stores. They only use select grapes and fruits. The Antler Ridge Winery in Pennsylvania is located on the farm and it provides the perfect country setting. Their tasting room offers a picturesque mountain view. Their tank room will capture your attention as you view their state-of-the-art facilities through large windows. While sampling their wines watch this PA winery in the middle of their wine making process. If you want to taste superb wines created in the central regions of Pennsylvania then you must visit Armstrong Valley Winery. All of their wines are produced at Armstrong Valley Vineyard & Winery in their 200 year old bank barn. Located on approximately 100 acres of farmland that was first established in 1769 by Robert Armstrong, the namesake for the valley in which they are located and the creek that runs through the property. They feature events all year round including live music, wine tastings, dinner events and seasonal events. If you have never tasted their wines, they invite you to start today. This wine making company in PA is superb.